It uses a Pro Box, which is wider than Tuttle and stiffer as a result. Powerbox is a windsurfing conical box with a single screw. WTF! another box entering the scene? Oops! I meant pro box. It is. It's the Velocity. Still a great kite after all these years. 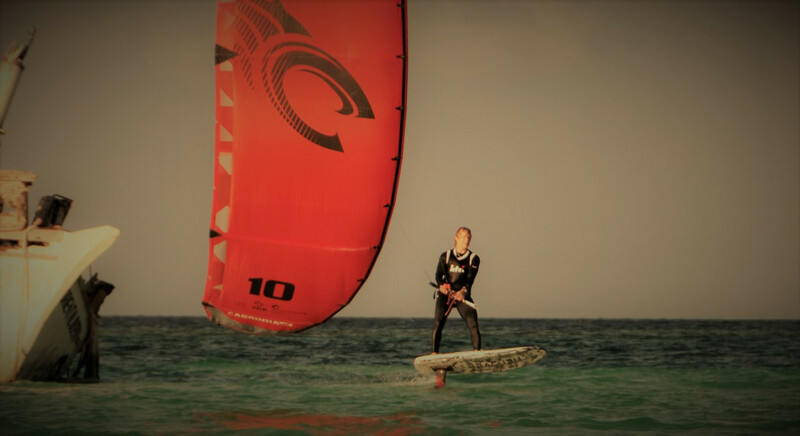 One of the best or even the best inflatable I've been riding with hydrofoil! I hope that the same race bar with great lines and without a leash would be reborn. Okay....sooo....who's about to sell all their foil kites to go back to tubes? Very cool. I won't be there this year but should be back for 2020. Have fun! Wonder if there's a clever way to get the pro box onto the tiny dwarf craft. Nice to only have to turn two screws.